Two gold medals and twelve days’ worth of amazing memories. Those are what the Little Miami Tour Chorale and Director Sarah Baker brought home with them from their European tour this summer. 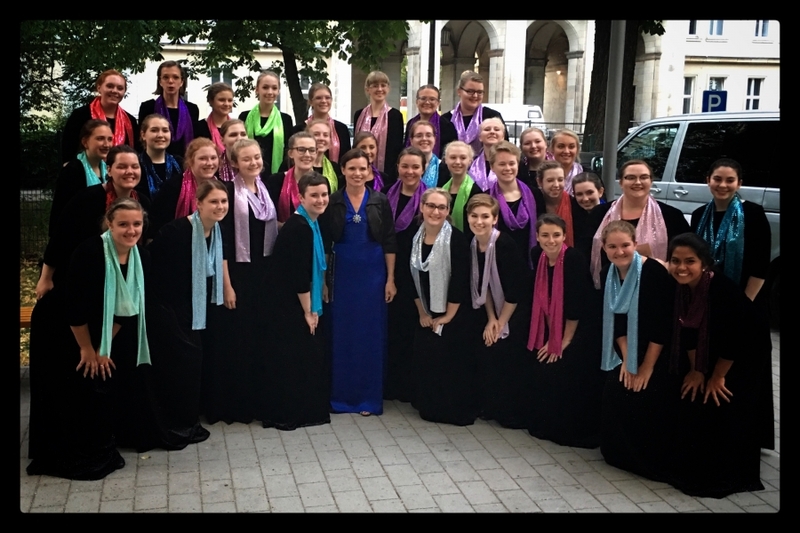 The focal point of the tour chorale’s July trip to Germany, the Czech Republic and Austria was participation in the premiere of the Sing Berlin! International Choral Festival and Competition. Little Miami earned two gold rankings, a category win, and a nomination to the Grand Prix finals of the competition, which included choirs from the Philippines, Sweden, Italy, Germany, Spain, and Kyrgyzstan. The Little Miami Tour Chorale was the only choir from the United States. The chorale also gave performances in Halle, Leipzig, Dresden, Prague and Vienna. In Dresden, the chorale gave an impromptu performance at the Frauenkirche (Church of Our Lady). This church was destroyed in the bombing of Dresden in 1945 and was rebuilt after the reunification of Germany in 1994. Other performances included a beautiful full-length concert at Kostel sv. Mikuláse (St. Nicholas Church) in Prague and a concert at the Peterkirche Wien (St. Peter's Church, Vienna) was given to a standing room only audience.